Air Greenland Airbus A330-200 FS9 for the TFS A330-200 PW base model. These are FSX textures only. The TFS A330-200 PW base model is required. Air Greenland Airbus A330-200 FSX for the TFS A330-200 PW base model. Air Greenland Dash 8-200 FS9 for the TFS Dash 8-100/-200 base model. 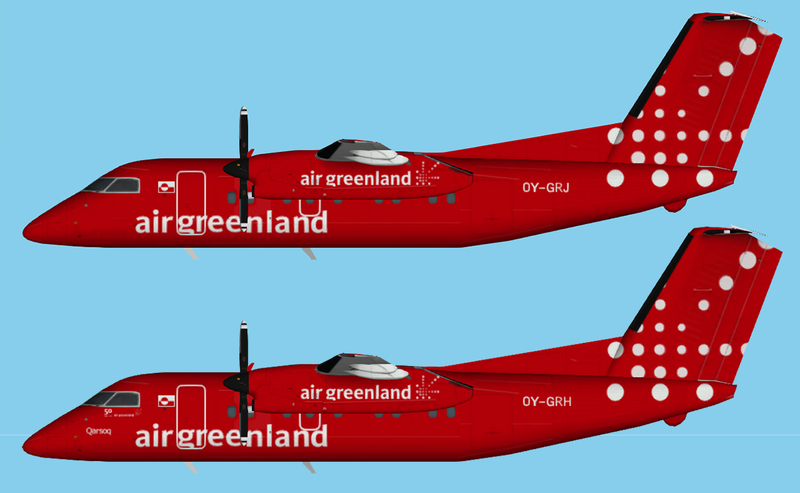 Air Greenland Dash 8-200 FSX for the TFS Dash 8-100/-200 base model. It can be found at www.flightsim.com. Search for tfsdh1-2.zip.